When her aunt shows up homeless on her doorstep, Sara suspects anything but a miracle. Sara's an artist with a supportive husband and a house that folks on her block admire outright. But she's restless and bored with life. Then her legendary Aunt Bel shows up, wearing a smile after years without a word. Twenty years ago, fresh out of college, Bel left for a summer missions trip and never returned. Now she's on Sara's doorstep, looking for a place to crash. Sara can't say no to family, even if she hasn't seen Bel since she was a nine-year-old girl. But saying yes to Bel turns Sara's whole precariously-balanced life upside down. The enigmatic Bel gives Sara's family and their community a jolt of fresh thinking and clarity. But Bel is hiding something. Though she won't talk about it, Sara soon learns that Bel has been through a hellish ordeal. And she has the burn marks to prove it. I was so very excited to read this book, and I admit, mostly because I love the cover. This is the first book by Lisa that I have read so her writing is new to me. The story line is not at all what I was expecting, and I think that is a good thing. I really enjoyed all of the characters and their quirks. The marriage between Sara and her husband is realistic and I enjoyed how it flowed with the story line. The mysterious Aunt Bel was one part that slightly disappointed. As the reader you don't find out Aunt Bel's past until pretty far into the book. This keeps the reader intrigued, but the acutal discovery was not as shocking as it is made out. I almost asked myself, "Is that it?". But truly this book has so many angles I couldn't help but enjoy the story for what it is. I would say to have an open mind while reading this book. I rate it 4 1/2 stars. I would like to read more from this author because I think her writing is unique. 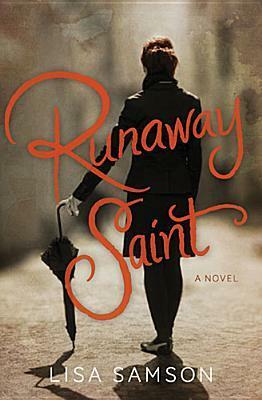 Look for this book in stores February 18, 2014!